We are so very thankful to be able to own such a beautiful house and to have a backyard for our little pup to safely play in. That said, it sure is a lot of work keeping up with our bite-size backyard during the rainy season. In the three plus years of living in our house we have undergone several big backyard projects and I think we’ve got another one coming down the pipeline. Our dear dog decided last week that he would like to visit China by way of our backyard. He almost made it but then decided that he wanted to take a different route. If you get my drift, he dug two very, very large holes right off of the patio. 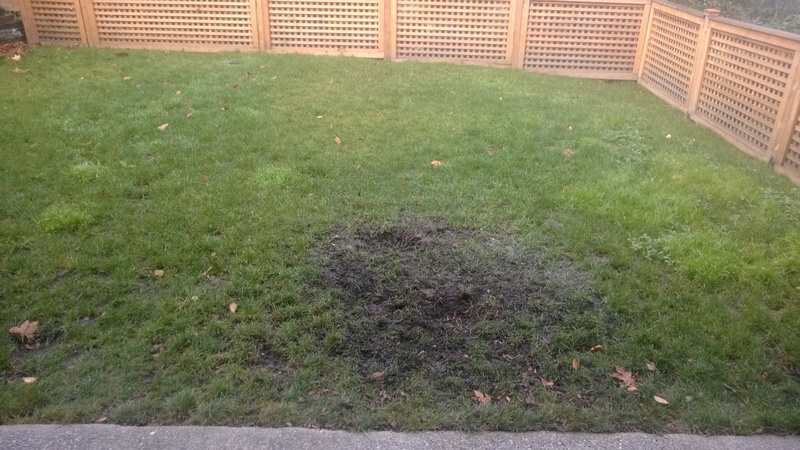 The holes aren’t really that big of a deal themselves, but the area the holes are in turns into a complete mud pit for the duration of our 9 month Seattle winter. 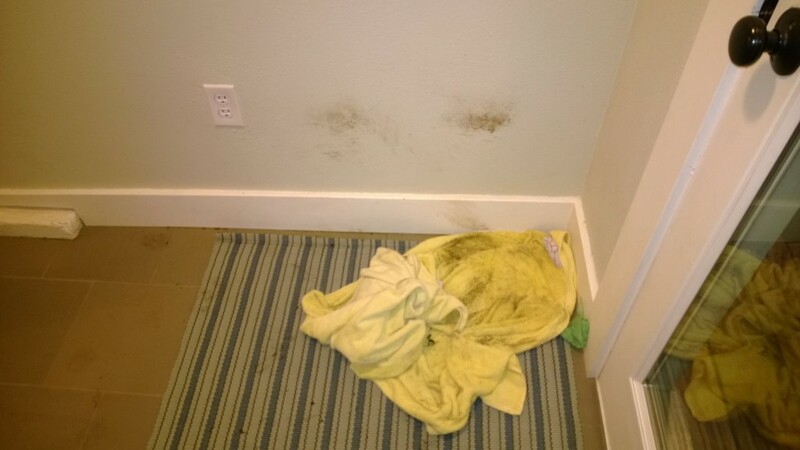 To deal with the mud and grime inside our house we added a mud room off of the basement door. This has been so, so great. I will post some “after” photos of that once we get a different rug. Thank goodness for the tile! But, now we need to deal with the mud outside. We have a few ideas floating around but I think we might need to just bite the bullet and hire a landscape designer to help us put something together the right way, the first time. Either way, I think we’re going to lose some grass and replace it with pavers or something to alleviate the muddy mess off of the patio. We do want to retain as much grass as we can because Jackson sure loves to run around back there. 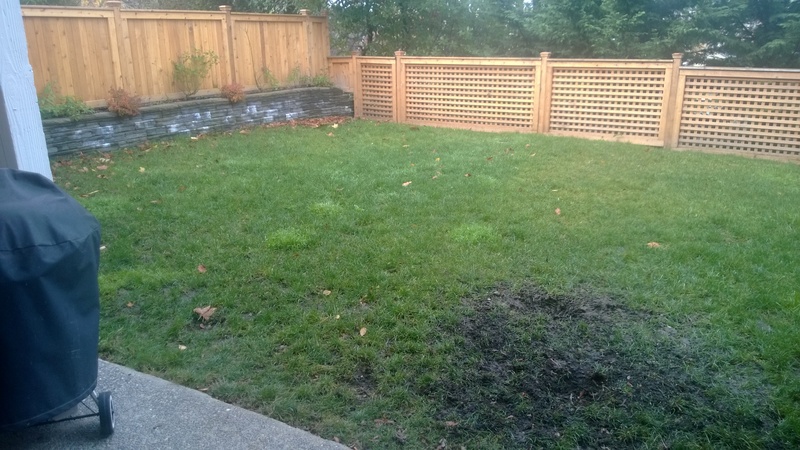 For now, we’re mentally preparing to embark on yet another backyard project… Oh the joys of home ownership! 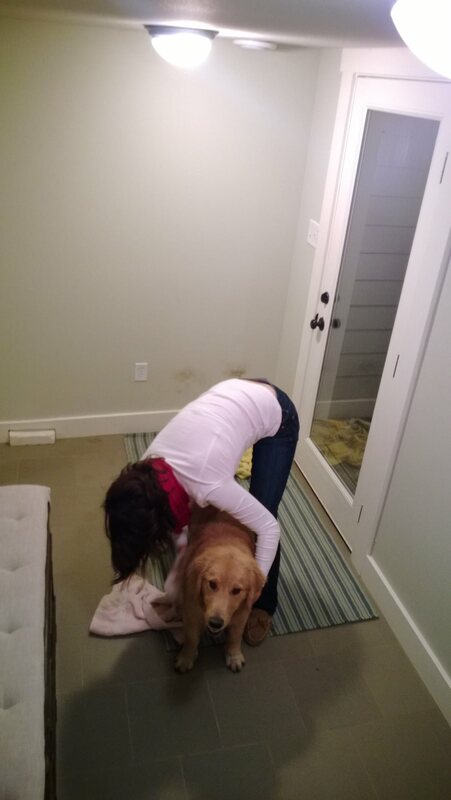 This is what it looks like when Jackson comes inside from the backyard. This entry was posted in Life, Pets and tagged House Projects, Jackson on November 13, 2013 by Alison Allen.